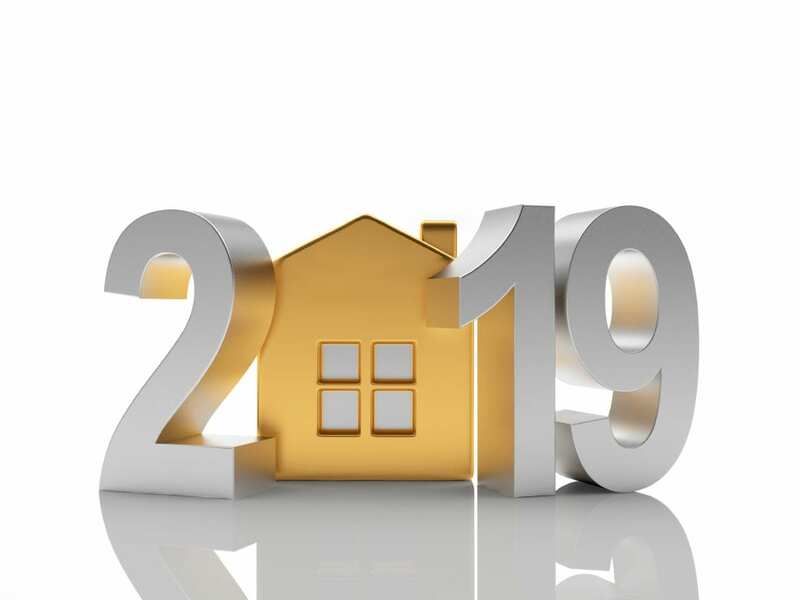 New Year, New Real Estate: Trends to Watch out for in 2019 - Champion Title & Settlements, Inc. | Title Company | Virginia | Maryland | D.C. Interested in making a property move this year? Check out 2019’s expected real estate trends below and find out what you should be doing to make your settlement process as successful as possible. Make Room for the Millennials! Believe it or not, millennials are at an age where they are starting to break into the housing market. This generation is actually expected to account for more mortgages than any other generation in 2019. Realtor.com, predicts that in the coming year, the millennial generation will make up for 45 percent of mortgages, while the Gen Xers will make up for 37 percent, and the baby-boomers will account for 17 percent. The millennial generation includes those born between the years of 1981 and 1996, with members being between the ages of 23 and 38. This means that many are at the age where they fall into the very exciting first-time buyers category. While millennials are breaking onto the scene, baby-boomers are concurrently starting to slow down and make room. Born between the years of 1946 and 1964, baby-boomers are 55 to 73, a.k.a. starting to hit retirement age. Most members of this generation will be empty-nesters with more room than needed, many ready to downsize to a house fit for one or two people. So what does this change mean for buyers, millennials or not, looking to buy a property in 2019? This change may lead to higher competition, and therefore, higher prices. First-time buyers are also more likely to ask for as much help as they can get, so follow suit, work with a realtor and a title company, let the professionals do the hard work for you to ensure a smooth settlement process. If you are a first-time buyer and need a point in the right direction, look no further than our Champion Title & Settlements, Inc. Homebuyers Guide. Planning on selling your home in 2019? What will this predicted trend mean for you? Millennials are known for their ability to do absolutely everything on the Internet, and real estate is no exception. As a seller, a good place to start would be becoming more Internet-savvy, as that is where most buyers will be beginning their purchasing process. First impressions mean everything when buying a home, so the more effort you put into your Internet listing the better. Many millennials have also been fortunate enough to grow up around high-tech gadgets and appliances, and therefore are most likely looking for energy-efficient houses with room for these. 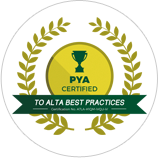 If your home does not have this amenity, offers may come in lower than expected. It’s the good news we have all been waiting for – the increase in property prices is starting to slow down. Although still predicted to increase slightly this year, between two and three percent according to the National Association of Realtors, this is a fairly large decrease from the past few years which saw increases of around five percent each year. Despite this deceleration, many buyers will still be finding that their dream home does not fall inside their budget, therefore, sellers are likely to be getting less offers on their homes. To combat this, sellers need to make sure they are doing everything they can to stand out and make their home seem worth every penny they are asking for. For those planning on buying in 2019, now is not the time to get discouraged, it’s time to stay patient. It is important to be sensible with your finances when considering purchasing a home, if you can’t put ten percent down on your dream house, maybe it isn’t the right time to be buying it. If you are desperate to buy as soon as possible, deciding which of your “must-have’s” are perhaps more “maybe-later’s” is a good first step in finding a home that fits in with your finances. The final trend predicted for the real estate market for 2019 is steadier mortgage rates. Despite initial predictions that borrowers would face the highest rates seen in seven years, The Federal Reserve announced an unexpected plot twist that may be your saving grace. In efforts to combat inflation and stabilize our strong economy, The Federal Reserve have been increasing short-term interest rates since 2015, however, Chairman Jerome Powell’s January 30th press conference announced that this increase is coming to a halt, and interest rates will be held steady for the foreseeable future. Although mortgage rates and national interest rates are not directly correlated, often we see the changes at the top making their way down to the lower levels, albeit, this often takes some time. Prior to this change, January mortgage rates were seen to be on the high end, with 15-year mortgages averaging 3.89 percent and 30-year mortgages averaging 4.45 percent. Although these rates may appear high, they are lower than those seen towards the end of 2018, suggesting that they are trending in a downward direction. Despite the newfound potential for mortgage rates to level off, sellers should still expect their property to be on the market for longer and to receive less offers. Again, it is important for sellers to make sure they stand out in a market where fewer buyers are able to comfortably afford making a purchase. They must also stay patient and make decisions about when to buy their future property based on the knowledge that their house may not sell as quickly as they hope. Buyers must continue to be aware of what they can afford and how long it may take The Federal Reserve changes to reach the mortgage industry. Staying patient and being realistic with how much the purchasing process is going to cost, especially if planning on hiring the professionals, will also be incredibly important for buyers this year. The cost of settlement can be a difficult estimation to make, however, the closing cost calculator found on Champion Title & Settlements, Inc. website can give you a good idea of what you will be paying at the table. It is important to make the best financial decisions, not just for this year, but also for many years down the line because a house, and ultimately a mortgage, is a long term commitment. Feeling prepared to buy or sell? Head over to www.championtitle.com to see how we can help you with your settlement process.